Celebrate the winter season at Southbank Centre with festive shows, a Christmas market, seasonal food and drink, and family activities under the glittering lights. See Southbank Centre transformed into a festive wonderland for Winter, the art centre’s annual winter festival along the Thames. Enjoy a packed programme of free and ticketed events, including a Christmas market, festive shows and family entertainment. Over the Christmas and New Year’s Eve season, the riverside area glows with glittering lights, festive decorations and a huge Christmas tree. Below are some of the activities which took place in 2017. Check back soon for activities happening over Christmas 2018 in London. 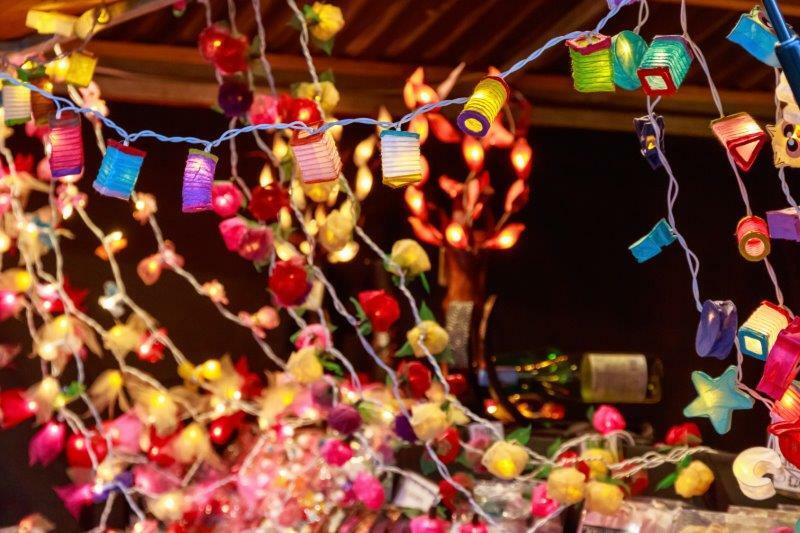 Shop for Christmas gifts and quirky crafts at the twinkling wooden cabins of the Winter Market, which line the south bank of the Thames. Tuck into festive snacks and steaming drinks, from mulled wine and hot chocolate, to German sausages, mince pies and spiced cider. And keep the little ones entertained with the family-friendly activities. Grab a pint of craft ale in cosy surroundings at The Hop Locker Bar. Take in the views with a Nordic-inspired drink in hand on the Queen Elizabeth Roof Terrace. Visit the Winter Market for more seasonal treats, global street food and hot drinks next to the Thames. Plus, experience more Swedish food and culture at Rekorderlig’s cider lodge. Located just outside the Winter festival site, the two-storey pop-up lodge usually features traditional fire pits and plenty of hot spiced plum cider. Get into the festive spirit with a Christmas concert, traditional choir performance or a seasonal community show. Bring in 2019 in style at A Vintage New Year’s Eve Party. Find more top Christmas markets in London, and take a look at what else is on in London this Christmas. Admission to the Winter Festival is free, but paid-for tickets are required for certain activities. This content has been supplied by Winter at Southbank Centre.